Applied for AP/EAD renewal while on AOS - but given new Case numbers? In short, currently waiting for green card interview (PD 1/12/2018). My origional EAD/AP card expires 6/13/2019. I was told by USCIS that if I apply for renewal, it will automatically renew for 6 months once you receive a confirmation receipt (i-797). 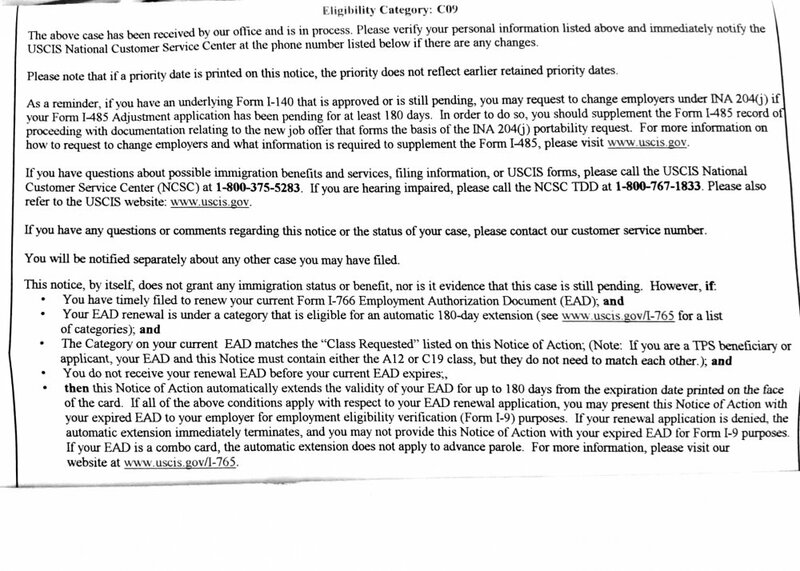 However, when I received the paperwork from USCIS, it was for a new case number (MSC1990*******). 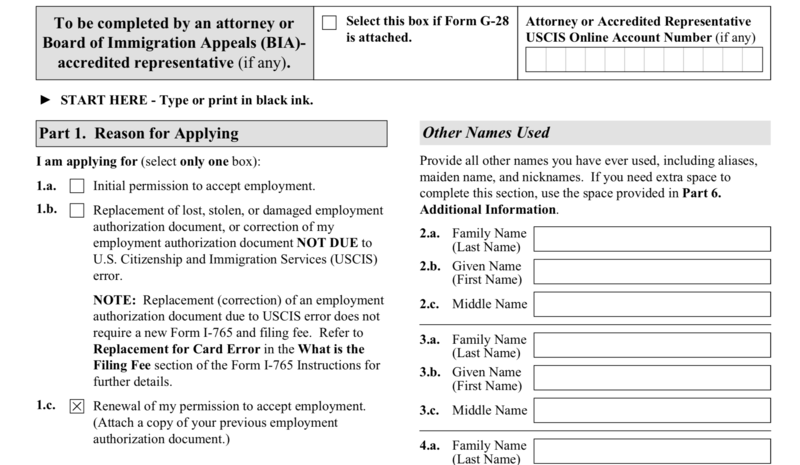 I have many questions about this and now USCIS has changed the way you can call them, its super difficult to get through. What happens if it is not approved before 6/13/2019 - do I need to stop working? How do i verify to new exployers that I can work? I have the card, however, I do a summer job when not teaching and they need copies of my EAD card? Anyone have tips on how I can get on the phone with USCIS? 1/10/2018 - AOS Package "Delivered" at Chicago Lockbox - After 2 delivery attempts. 1/12/2018 - Official Priority Date. 2/09/2018 - Biometrics completed - Charlotte office - Very efficient! I would say, since it's a new application (although it's a renewal) you do get a new case number. Did you send the letter you got with your original EAD in the renewal packet? What happens if it is not approved before 6/13/2019 - do I need to stop working? Not if you applied for the renewal and you get the extension letter. Yep - def did renewal. Also included copies of old paperwork and barcode, photocopies of EAD/AP card. Than I wouldn't worry. You can always double check with USCIS, just to give you a peace of mind, and to make sure everything is correct. But as mentioned before, since you basically applied for a new card (although it's a renewal) it makes sense that you get a new case number. I guess I just need that paper verification to show my employer. Was informed by USCIS that it should be automatic, however you would receive a letter. Small issue, I applied with my origional 765/131 at our old address in NC. We are now in WA. I applied for my renewal with our updated address and received a NOA here in WA. They also said, its 4.5-6 month wait, so I may be out of luck from June 13 until 4.5-6 months from March 8 (Sep 8). MY current employer wouldnt have an issue and will most likely keep paying me, however, applying for this secondary position. It may be difficult. I applied for my renewal with our updated address and received a NOA here in WA. Guess, I had to read the fine print.